The Best Religious blogs from thousands of top Religious blogs in our index using search and social metrics. Data will be refreshed once a week. Also check out Religious Podcasts and Religious Youtube Channels list for Top videos on Religious. Religious newsletter is a comprehensive summary of the day's most important blog posts and news articles from the best Religious websites on the web, and delivered to your email inbox each morning. To subscribe, simply provide us with your email address. San Francisco, CA About Blog This is a subreddit for matters concerning all religions and topics involving them. It is a place for open minded discussion on all sides of every topic. Facebook fans 1,155,844. Twitter followers 515,598. About Blog World Religion News is here to talk about the world of religion in ways that will surprise, challenge, enlighten, entertain & engage you within a framework wired for a connected world. We cover all world religions from Agnosticism to Wicca & all religions in between. So dive in and tell us what you think, feel, loathe, love, hate, want to see more or less of, and always, choose the highest truth. Facebook fans 65,254. Twitter followers 2,275. DC, NYC, London, Rome About Blog Religion News Service's first priority is to provide intelligent, objective coverage of all religions Judaism, Christianity, Islam, Asian religions and private spirituality. RNS also provides commentary from a diverse array of all points of the political and theological spectrum. Coverage of religion, ethics and spirituality from around the globe. Facebook fans 25,634. Twitter followers 73,390. USC/Annenberg About Blog Religion Dispatches is a secular, independent online magazine that stands at the intersection of religion, politics, and culture. We aim to create a new way of thinking about religion in American culture and politics, one that challenges last century’s media dominance by an ultra-conservative fringe, that invites free discussion of religious ideas once they’ve hit the public square. Facebook fans 20,793. Twitter followers 28,421. New York City About Blog News about religion and belief. Commentary and archival information about religion and belief from The New York Times. Facebook fans 14,851,258. Twitter followers 40,048,985. USA About Blog Catholic Exchange seeks to enable all to be enriched and strengthened in their Christian faith as proclaimed by the Catholic Church. By offering accessible articles and helpful tools for spiritual growth, we seek to make saints in our own time especially among those who live busy lives but still seek to grow in friendship with Christ. Facebook fans 408,064. Twitter followers 20,894. About Blog The Episcopal Café seeks to be an independent voice, reporting and reflecting on the Episcopal Church and the Anglican tradition. The Café is not a platform of advocacy, but it does aim to tell the story of the church from the perspective of Progressive Christianity. Facebook fans 25,963. Twitter followers 17,004. Based in New York CIty About Blog Get Religion is a national and global journalism site focusing on how the mainstream press covers religion news in politics, entertainment, business and sports. GetReligion has become one of the leading English-language blogs committed to improving the quality of religion coverage in the news. Facebook fans 2,112. Twitter followers 12,919. Global About Blog We establish this blog in the hope that feminist scholars of religion and all who are interested in these issues will use this forum to share their ideas, insights, and experiences, so that this community of thinkers will be nurtured as we explore diverse and new directions. Facebook fans 5,617. Twitter followers 2,915. Los Angeles About Blog Scientology is a truly unique contemporary religion the only major religion to emerge in the 20th century. Scientology is fully developed, by definition of religion, in its theology, religious practice and organization. Get the latest news articles, videos and blog on freedom of religion, the Church of Scientology and our dedication to this fundamental human right and making a better world. Facebook fans 675,065. Twitter followers 103,894. About Blog The Bulletin publishes articles that address religion in general, the history of the field of religious studies, method and theory in the study of religion, and pedagogical practices. Articles featured in the Bulletin cover diverse religious traditions from any time period from ancient religions to new religious movements. Facebook fans 2,636. Twitter followers 2,148. Australia About Blog Australia's leading source of information and entertainment. Our mission is to provide Australia’s best quality, most innovative and most trusted news of religion and current affairs content across a broad range of platforms. Facebook fans 3,574,256. Twitter followers 48,190. Provo, Utah About Blog The Center for the Preservation of Ancient Religious Texts. Our mission is to deepen understanding and nurture discipleship among Latter-day Saints and to promote mutual respect and goodwill among people of all faiths through the scholarly study of religious texts and traditions. Facebook fans 5,731. Twitter followers 3,823. New York About Blog The Revealer publishes writing that reflects upon religion as a key point of intersection between beliefs, practices, politics, representation, economics, and identity, where the important forces that shape individuals, societies, and their relationship to each other, play out. Facebook fans 1,414. Twitter followers 4,470. London About Blog Get latest news and features on Religion from theguardian.com, the world's leading liberal voice. Facebook fans 7,782,282. Twitter followers 6,879,987. Golden, CO About Blog Thoughtful discussions for the inquisitive believer. Red Letter Believers is my weak effort to encourage the Christian world to live out their beliefs in both word and deed. I am the chief of all sinners, so I certainly don’t have it all together. Facebook fans n/a. Twitter followers 795. Washington, D.C. About Blog Christian news on The Christian Post, the largest Christian newspaper in the world featuring world Christian news, Christian news sites, and religious news. Facebook fans 654,717. Twitter followers 159,640. University of Alabama About Blog The Department of Religious Studies promotes descriptive and comparative studies of religion by describing and analyzing cross-cultural beliefs, practices, and institutions, both past and present. The Department is one of the principal arenas in the University where students learn of the history, diversity, and ingenuity of human systems of thought and practice. Facebook fans 780. Twitter followers 822. New York City About Blog The Sadlier We Believe Blog is designed to put innovative and exciting digital program resources at the fingertips of Sadlier Religion program users. Facebook fans 1,939. Twitter followers 885. Brooklyn, NY About Blog The Social Science Research Council's blog on secularism, religion, and the public sphere. Facebook fans 4,160. Twitter followers 5,758. About Blog RealClearReligion is a catch-all source for religion stories, opinion and controversy. Everyday the RealClearReligion team scours the Web to find the best religion news and analysis to help readers of all faiths better understand one another. We cover religion in itself and religion as it touches our lives through music, books, business, history and politics. Facebook fans 2,933. Twitter followers 6,686. UK About Blog The National Secular Society exists to challenge religious privilege and is Britain's only organisation working exclusively towards a secular society. The Society promotes the separation of religion and state where law and the administration of justice are based on equality, respect for Human Rights and objective evidence without regard to religious doctrine or belief. Facebook fans 17,573. Twitter followers 32,156. Boston, MA About Blog Mystagogy Resource Center is an International Orthodox Christian Ministry headed by John Sanidopoulos. This is n not merely a christian orthodox website but a source offering a unique orthodox christian topics, faith, philosophy, literature and more. Facebook fans 11,798. Twitter followers 4,816. New York City About Blog To explore, document and explain the great religious changes that are taking place in New York City. Edinburgh, Scotland, UK About Blog This podcast features a weekly audio interview with leading scholars of Religious Studies (RS) and related fields. Our website also features weekly articles from scholars of religion in addition to other useful resources and articles relevant to teachers and students interested in the critical, cutting-edge study of 'religion' and related categories. Facebook fans 5,090. Twitter followers 4,785. London, Oxfordshire and Skye About Blog Law & Religion UK is intended as a forum for what we hope is academically-rigorous exploration of the interactions between law and religion, together with the associated human rights issues. Issues of law and religion in the United Kingdom with occasional forays further afield. Facebook fans n/a. Twitter followers 1,248. About Blog Feminist Studies in Religion goal is to foster feminist studies in religion in all of its variety and diversity. We understand “feminist studies in religion” to encompass global critical feminist work in religious studies, theology, theology, and spirituality both inside and outside the academy and at the grassroots level. Facebook fans 3,858. Twitter followers 2,332. Williamstown, MA About Blog Now running and playing with the real rabbis! Here you will find post on Judaism. Facebook fans n/a. Twitter followers 3,893. About Blog Philosophy of religion blog written by professionals and graduate students. New York, NY About Blog The Tanenbaum Center for Interreligious Understanding promotes mutual respect with practical programs that bridge religious difference and combat prejudice in areas of armed conflict, schools, workplaces, and health care settings. Facebook fans 1,157. Twitter followers 2,610. Washington, D.C. About Blog The Baptist Joint Committee for Religious Liberty's mission is to defend and extend God-given religious liberty for all, furthering the Baptist heritage that champions the principle that religion must be freely exercised, neither advanced nor inhibited by government. Our mission is to defend and extend God-given religious liberty for all people. Facebook fans 3,930. Twitter followers 2,816. New York City About Blog Welcome to Jewish Treats Jewish Treats is our initiative to share interesting and enjoyable observations about Judaism. Facebook fans 11,516. Twitter followers 66,129. About Blog Religion Clause brings daily neutral reporting on church-state and religious liberty developments, with extensive links to primary source documents. Facebook fans 217. Twitter followers 658. Soul Intent Arts, NC About Blog Soul Intent Arts brings ancient healing into modern lives. While she performs a range of shamanic techniques, including soul retrieval, extraction, depossession, guide retrieval, and ceremonial art. A major focus of her work is helping those in spiritual emergence incorporate animistic life through private sessions and mentorship. Facebook fans 1,619. Twitter followers 1,070. About Blog A blog about law and religion in Australia. Washington, DC About Blog The Religious Freedom Institute is committed to achieving broad acceptance of religious liberty as a fundamental human right, the cornerstone of a successful society, and a source of national and international security. It will achieve this goal by convincing stakeholders in select regions that religious freedom can help them achieve their own goals political, economic, strategic, and religious. Facebook fans 1,273. Twitter followers 1,622. Dwarka, New Delhi About Blog Our ISKCON Dwarka center, which is dynamically expanding center, is tirelessly endeavoring to strengthen the ethical and spiritual fabric of society. Facebook fans 197,720. Twitter followers 1,791. About Blog Welcome to Building a Church Without Walls, a website for people who are excited about how Christianity is developing in the 21st Century. This is my interest to expand the role of religion in violence and peacebuilding, and its contributions to conflict transformation and social justice. About Blog Religious Socialism is a blog and community of religious socialists in the United States and is the project of the Democratic Socialists of America. Facebook fans 1,026. Twitter followers 1,463.
in critical thought processes About Blog Critical Approaches to the Study of Religion. The Critical Religion Association seeks to promote engagement with ideas around religion and other categories. Facebook fans 1,155. Twitter followers 1,315. Paris, France About Blog Exploring the material basis of religious traditions. Facebook fans 552. Twitter followers 14,240. Long Beach, CA About Blog The aim of RKblog.com is to catalyze creative influencers of faith culture and religion, rather than simply push hot buttons or echo the popular path. Facebook fans 1,992. Twitter followers 10,873. About Blog This blog features the twice-monthly newspaper column I have been writing since 1999 called Religion Today. I post a new column on Wednesday every other week. The column is contributed for the purpose of examining and promoting discussion of religious issues. Frederick, MD About Blog The Religious Coalition of Frederick, Maryland is the leading provider of homeless prevention, and emergency shelter for homeless adults and families. Our mission is to make our faith real through acts of faith that manifest God’s caring presence. We coordinate donations of time, talent, money, food and other resources to meet the urgent needs of people in Frederick County. Facebook fans 703. Twitter followers 101. Littleton, MA About Blog We believe in a liberal religious education. As a non-creedal faith we explore religious truth, meaning and faith. We also promote the principles of justice, love, trust, safety, tolerance and encouragement. Our religious education programming covers a broad spectrum that enriches the lives of all in our community based on our seven UU Principles and drawing from our six UU Sources. Kyiv, Ukraine About Blog Pilgrimage: Buddhism, Islam, Christianity, Judaism. For religious and not very religious people who love traveling. Facebook fans 292. Twitter followers 48. Australia About Blog Religious Liberty Monitoring exists to expose and analyse religious liberty issues that are strategically significant AND/OR ignored by mainstream media. The Religious Liberty Prayer Bulletin (RLPB) exists to assist churches, small groups and individuals in prayer for the persecuted church. India About Blog This website is a request that we should consider all religion in right perspective. All say - God is one but we have different names and fight by him. 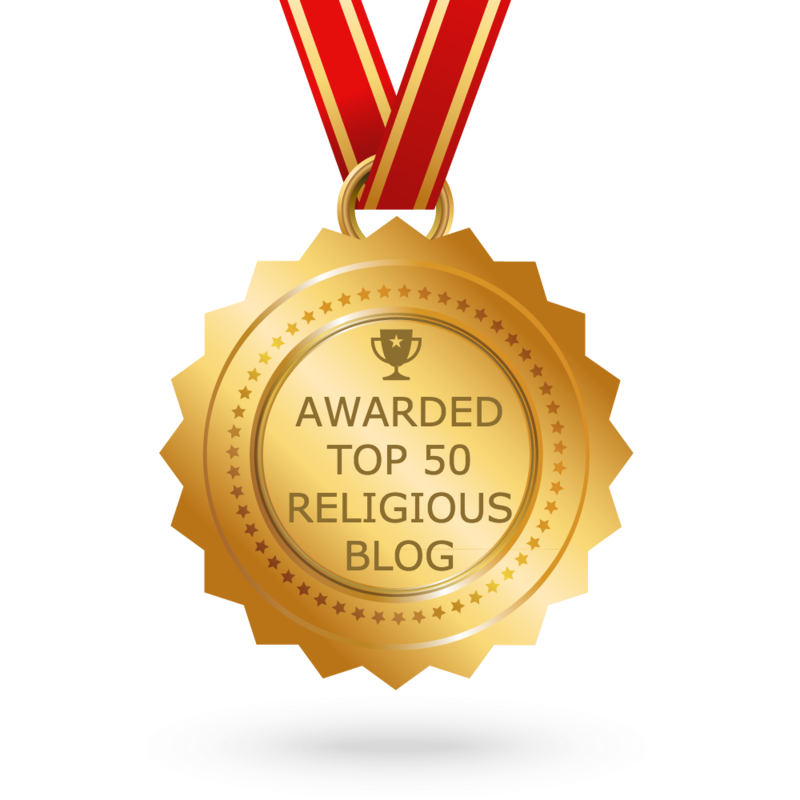 CONGRATULATIONS to every blogger that has made this Top Religious Blogs list! This is the most comprehensive list of best Religious blogs on the internet and I’m honoured to have you as part of this! I personally give you a high-five and want to thank you for your contribution to this world.